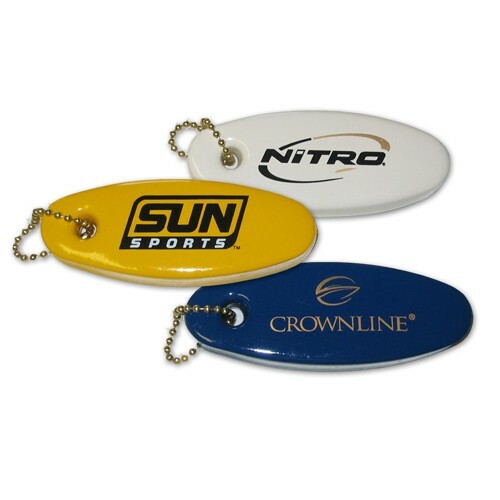 • Key holder will float your keys - Perfect for your boat, harbor, marina, or any water sport. • Keychains packaged bulk in same box as keyfloats. We can assemble keychains to the Keyfloats for additional charge. • KF101 measures approx 4 1/4" x 1 1/2", with a large imprint area of approx 2 1/2" x 7/8". • Keyfloats available in 11 different colors with up to 2 side, 2 color imprint.